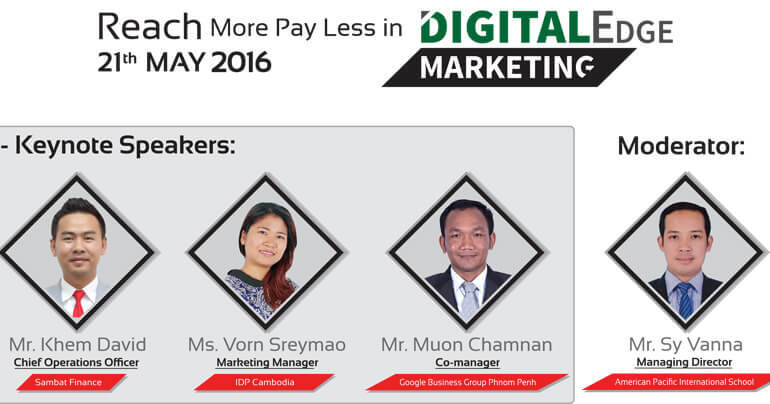 Are you searching for a digital marketing seminar in Cambodia? If so, you absolutely find the right place to answer your query. 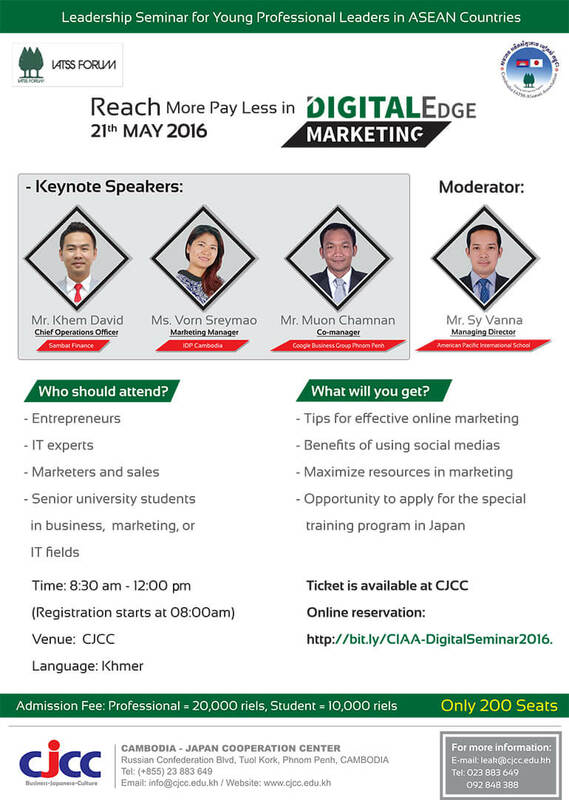 Cambodia IASTSS Alumni Association (CIAA) in cooperation with Cambodia-Japan Cooperation Center (CJCC) will organise an online marketing seminar "Reach More Pay Less in Digital Edge Marketing" on May 21, 2016 from 8:30 AM to 12:00 PM at the Angkor-Kizuna Hall, CJCC in Phnom Penh, Cambodia. I will be attending the seminar and also be a part of panel discussion. Are you interested in joing this event? Book your seat here. See you at the event! Starting to design cover photos, graphics, and other social media stuff, you will think and look for correct resources on how to place text, recommended dimensions, image scale, and more for your personal or business's social media photo sizes. 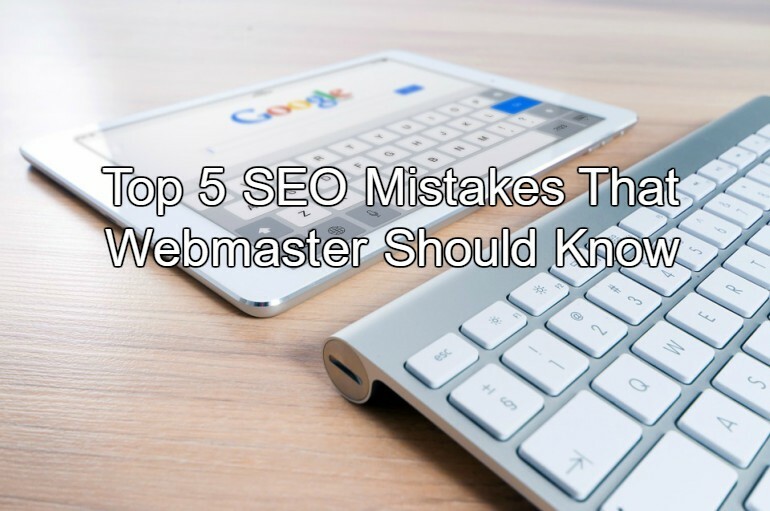 If you are finding for a detailed guide to that then here is it. 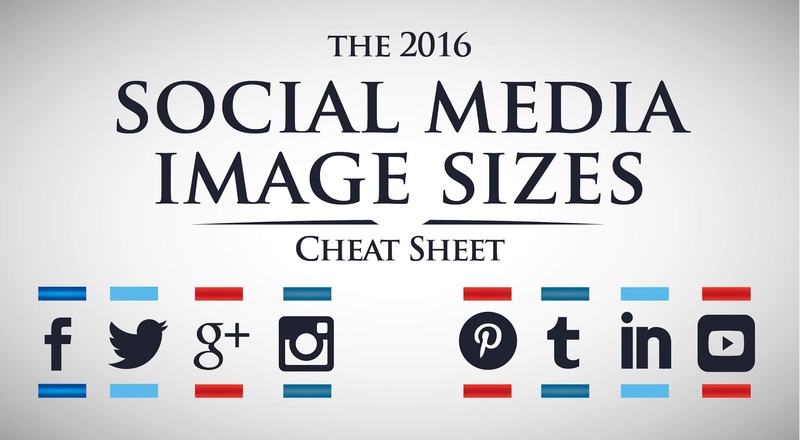 This nice infographic that was created by Jamie Spencer of MakeAWebsiteHub.com shows you eight social media sites with each of image size requirements so that you can make your Facebook, LinkedIn, YouTube, Instagram, Twitter, Pinterest, Tumblr, and Google+ accounts better. The infographic shares the current, correct dimensions, and some tips for each site so your images always look more awesome. Has something to say? COMMENT NOW!